As I mentioned yesterday in my New Year’s Resolutions post, this is the year of getting organised. I can be organised, but with the piles and oodles of things to do I’ve felt like control has ebbed away a little. So in my professional life I have tended to stay organised and thorough. For Junior League I’ve done quite well. With blogging I’ve kept it together. But home and life and self-care…. So this year I’m starting afresh, and trying to cultivate habits and ways of being that encourage order and comfort. 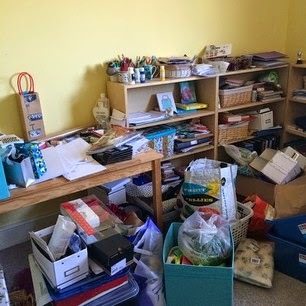 I’m decluttering, purchasing mindfully, and making time for organising in amongst the chaos. All the clutter. In the world. Piles and bags left over from Christmas, the wedding, hither and thither. Just a clutter bomb. 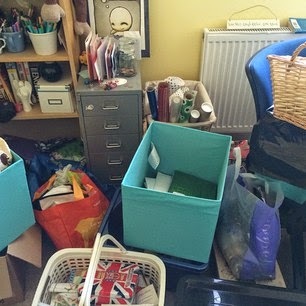 Worst of all, some of the clutter was stuff I’d bought to help tidy….but not had time to use. Which leaves lots of space for fun gifts…. …and getting a marathon planning session in. That looks like it was quite the job – good on you! Thanks sweetie – it was a job and a half! Looks great, I'm trying to get myself organized as well though I'm not quite ambitious as you!